Click on the photo to enlarge and then the back arrow to return to the original size. I hope all your decorations are put away and you have recovered from the holidays and have begun a wonderful, happy, healthy New Year! A lot of people start diets this month or they just want to start incorporating meatless meals into their diet and I have the perfect recipe. I posted a picture of this meal on my personal Facebook page and received many requests for the recipe, so I decided to post it for all of my members. If you want an easy, quick meal, this is for you. The dish is “Pasta Piselli” or pasta with peas. I call it comfort food- Italian style. When I first got married, my mother told me to always have the ingredients to make pasta piselli in the house because it can be whipped up in no time for the nights you are tired, can’t think of what to make for dinner or just need something quick. I took my mothers advice and it has come in handy on many occasions. The original recipe has only six ingredients plus seasonings. Below is the recipe that my mother taught me. Cook pasta in a large pot of salted boiling water until al dente- follow package directions. Drain pasta and reserve one cup of pasta water, set aside. Heat oil in another large pot. Stir in the diced onion and a pinch of salt. Sauté for a few minutes and add the garlic and red pepper flakes and cook for 1-2 minutes. When the onion is soft, add 2 cans of peas and their juice. When peas are heated through, add the drained pasta to the pea mixture and stir to combine. Adjust seasoning of salt and pepper. Take off the heat and add grated cheese and let it sit for a few minutes before serving. If the pasta looks to dry for your liking add a little pasta water or chicken broth- 1 tbsp at a time. Serve with more grated cheese. Pasta Piselli with a Cream Sauce. So this is my new version of this dish… The photo above is this new version, but the original is fabulous as well. 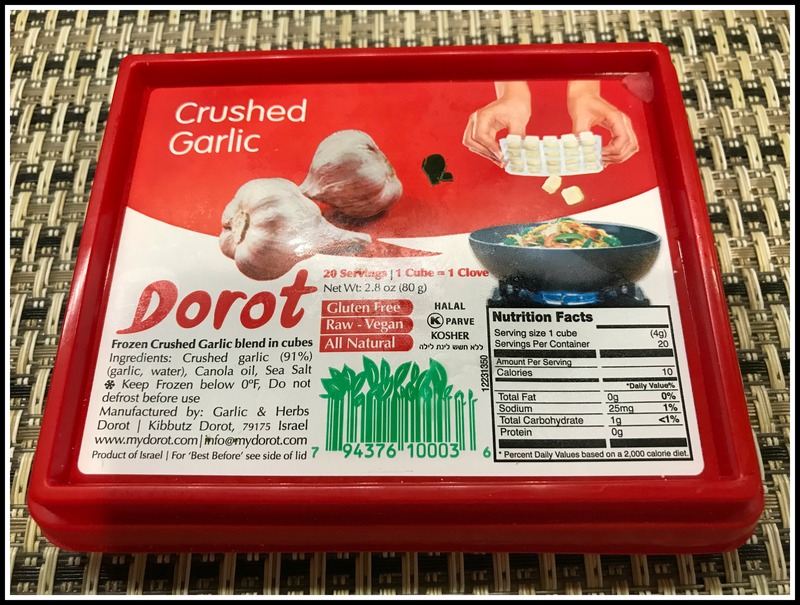 2 Dorot brand cube of crushed garlic (found in Trader Joe’s frozen section- photo below). In the meantime, in a large skillet or saucepan add olive oil to slightly cover the bottom of the pan. Add the sliced onion and a pinch of salt and saute for a few minutes. Add the garlic, frozen garlic cubes and red pepper flakes and saute for approx. 2-3 minutes. Reduce the heat to low and add both the drained cans of peas and the frozen peas, turning slightly and gently not to smash them, only heat them. Add the mascarpone cheese to melt and make a sauce. When the pasta is cooked, reserve 1- 2 cups of the pasta water and set aside. Drain the pasta and add to the peas & sauce in the pan and mix gently. Add your seasonings- salt, pepper, garlic powder plus grated cheeses and 3 TBSP of the pasta water. Mix well and set aside for 1-2 minutes to blend all the flavors. If you feel the pasta is too dry, add a TBSP at a time of the pasta water to the desired texture, otherwise this dish is complete. Can be served with additional grated cheese (to taste). Save the remaining pasta water in a jar. You will need it to heat up the pasta piselli leftovers. I hope you try this recipe and add it to your meatless meals. 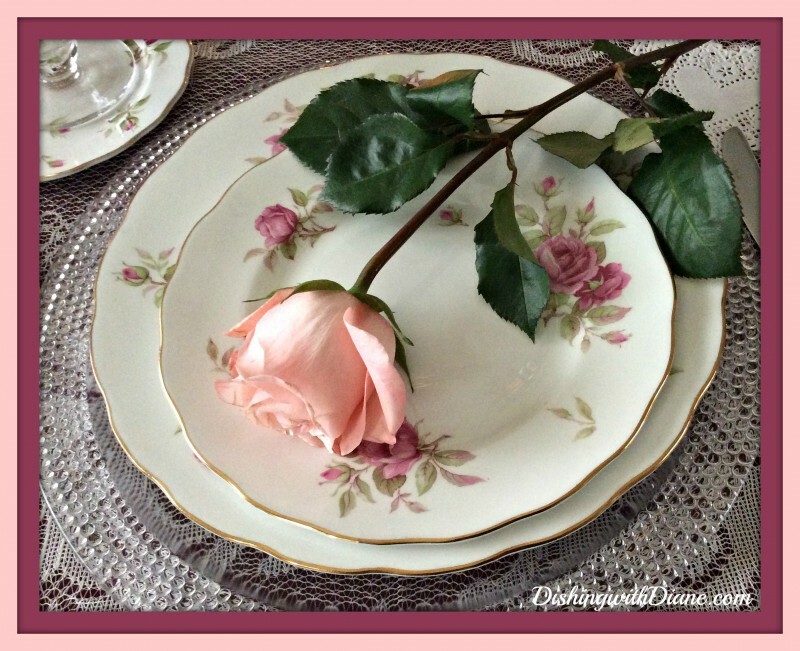 Ask your family and friends to join DishingwithDiane.com and become part of the family! This entry was posted in Pasta on January 9, 2019 by aries041158. 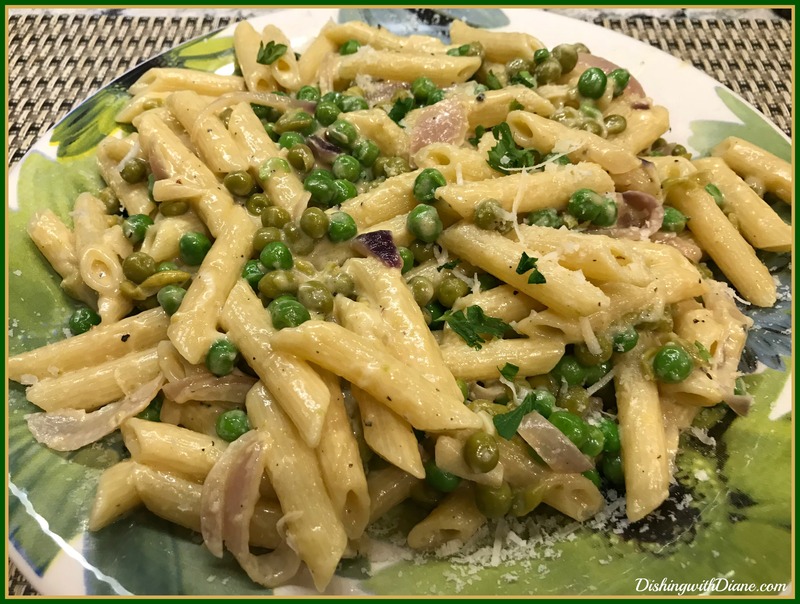 Pasta with peas is wonderful I make it all the time… try adding some tuna my husband loves it that way. Thank you for the new idea Sherry. Diane, my mother’s recipe for Pasta Piselli was similar to the first one you posted except she used a small can of tomato sauce with water. The pasta cooked in this. She used the ditali pasta. She always used frozen pea, 1 1/2 cups. Her basic recipe of 2T olive oil, 2 cloves minced garlic, 1 can tomato sauce, 4 cans of water, and 11/2 cups pasta was used to also make Pasta and Beans. Instead of peas she would add chick beans, Pasta Cici, or Cannelli beans for Pasta Fazool. Pasta and potatoes was also made the same with tiny cubes of potatoes. For Pasta Piselli and for Pasta and Potatoes she would substitute the garlic with 1 small onion. But I’m for garlic on everything! Grated cheese went on all. Thanks for keeping our Mom’s recipes out there.